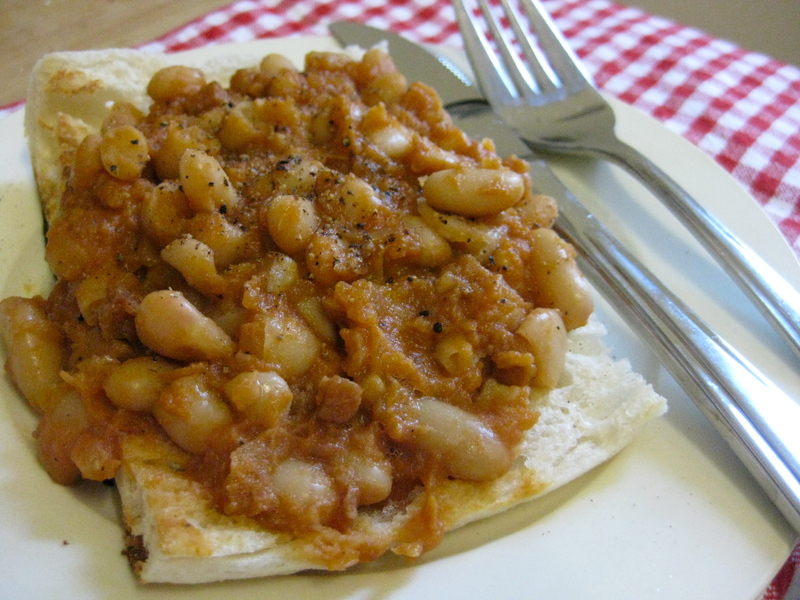 I have never tried to make baked beans in the past because the ‘homemade’ ones at cafes are always too acidic and chunky. Not enough like the canned ones. I like the canned ones. With ham. Recently though I found this recipe that I thought was worth sharing. Saute onion and speck in some oil in a pot. Throw in everything else and simmer for ten minutes or so. Serve on toast with eggs. For a vegetarian version replace beef stock with veg stock and remove the smoked meat. Obviously this will reduce some of the flavour, but it should still be rich enough. I used a little food processor to finely chop my onions. I wanted it to be as smooth as possible. If you don’t have maple syrup, use brown sugar instead. If you like chunky beans, then you could replace the tomato puree with diced tomatoes and keep the bacon and onion thickly diced. You could also use butter beans and kidney beans for some variety. 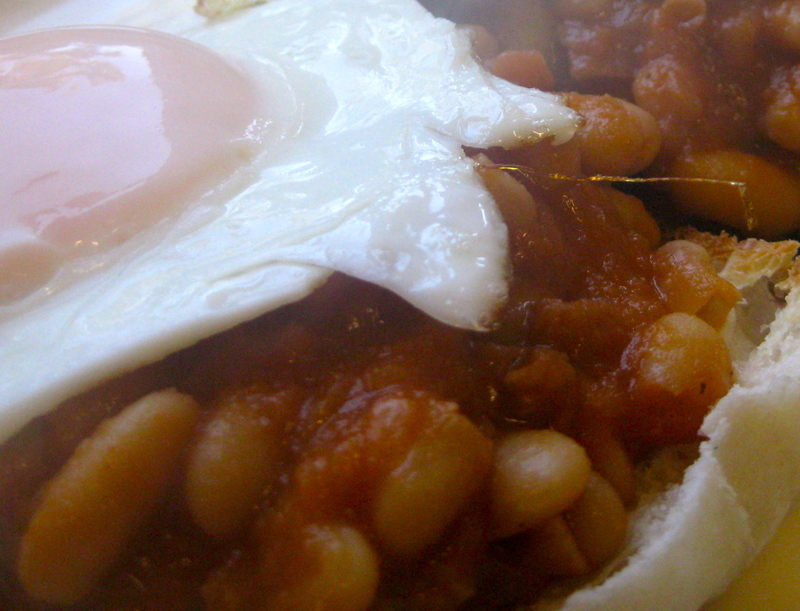 Take care not to boil the beans too hard, otherwise they’ll split and burst. That egg looks like perfection!!!! Would you expect any less? We call these holiday eggs. AT’s mum used to call it that. You put the lid on the pan and it cooks the tops very gently.